The Consumer Guide to Your Best Hearing! 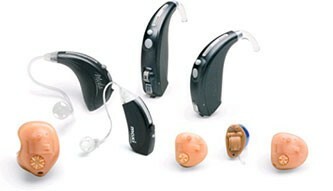 When it comes to buying hearing aids, we understand how confusing it can be. When first addressing signs of hearing loss, it is hard to know where to start when determining treatment and if technology is recommended, how much to spend. We have created a booklet for you to download to answer many of the commonly asked questions individuals with hearing loss ask so that you can feel confident in buying devices right for you! How much should I spend on hearing technology, if it is recommended by an Audiologist? What is the right type of device for me? After reading our booklet, we hope that you or a loved one will feel confident to contact Landmark Hearing for a hearing evaluation and consultation.